Lyrics play a very important role in making a film song memorable and immortal. Yet, lyricists are seldom remembered when we talk about a song. In the 19th episode of Guzra Hua Zamana on July 30th, we will focus our attention on a very prolific, but now forgotten, lyricist who was active from the 30s till the 60s – Pandit Indra Chandra. If you go to Mumbai by air, head west from the airport, go straight till you hit Andheri-Kurla Road, take a left turn, another left after approximately 750m, keep going…. another left after 110m, then take the first right, and then another right after 100m, and lo you’ve reached your destination. But where? And how does that relate to those weird numbers? And how does Hindi film music come into the picture? Well, the place you’ve reached lies on latitude 19.112245, longitude 72.869997, and has a PIN code 400059 – Kavivar Pandit Indra Marg, a road named after a forgotten lyricist of yesteryears. It’s a sad reality that among all the contributors that embellish film songs, the lyricists are probably the least remembered (except the musicians and chorus singer, of course). Pt. Indra’s is a classic case in point. One of the most prolific Hindi film lyricists of his time, Pt. Indra had a career spanning three decades during which he wrote more than 875 songs in 128 films. Yet his name is hardly known. Not much is known about the early life of Pandit Indra Chandra Dadhich. Hailing from Churu district in Rajasthan, Pt. Indra came to Bombay in 1933. He was first hired as a writer and lyricist for Gandharv Cinetone’s Sati Mahananda (1933). He continued to be associated exclusively with them for the first few years and worked on films like Maharani (1934) and Pardesi Saiyan (1935). When Master Vinayak co-founded his company – Huns Chitra – in 1936, he hired Pt. Indra for Chhaya (1936), where he was responsible for translating from the original Marathi. Pt. Indra continued to work for Huns Chitra for the next couple of years, while expanding his association with other film companies like Sagar Movietone and a few others. It was in 1939 that he got the first opportunity to work with Chandulal Shah’s Ranjit Movietone in Sant Tulsidas. But it wasn’t until 1942, with Dheeraj and Iqraar (Tyaag), that Pt. Indra became a regular lyricist with Ranjit Movietone. By 1950 he had worked in 33 films produced by Ranjit Movietone, his most significant association with any film company. Some of the noteworthy films of this association include Tansen (1944), Dhanna Bhagat (1945), Moorti (1945), Prabhu Ka Ghar (1945), Rajputani (1946), Chheen Le Azadi (1947), Piya Ghar Aaja (1947), Gunsundari (1948) and Jogan (1950). Many years later when Chandulal Shah directed Zameen Ke Taare (1960) he once again called Pt. Indra for his services, although the film was made under the banner of Chadra Movies. Apart from Ranjit Movietone for whom he produced a bulk of his output, Pt. Indra also did considerable amount of work for Vijay Bhatt’s Prakash Pictures (9 films), Homi Wadia’s Wadia Movietone (8 films), Huns Chitra (7 films) and Sagar Movietone (6 films). Since he had close relations with both, when Ranjit Movietone and Wadia Movietone decided to co-produce Return of Toofan Mail in 1942, Pt. Indra was the obvious choice for the main lyricist. In 1948, S. S Vasan decided to remake his super hit film Chandralekha in Hindi. The responsibility of writing the lyrics as well as the dialogues fell on Pt. Indra. Thus began another fruitful association for Pt. Indra. He became an in-house lyricist for Gemini Films, writing for all their subsequent Hindi films like Nishaan (1949), Mangala (1950), Sansar (1951), Mr. Sampat (1952), Bahut Din Hue (1954) and Do Dulhe (1955). Those were the days when artistes were closely tied to film companies, working on a monthly salary. It is, therefore, natural that the music directors Pt. Indra worked with was dependent on the film companies he was associated with. From Govindrao Tembe in his first film to Dhaniram, Jamal Sen and Shivram Krishna in his final films, Pt. Indra worked with around 50 different composers. Yet, a fairly large proportion of his work is with composers who were closely associated with Ranjit Movietone i.e. Bulo C. Rani (21 films), Gyan Dutt (17 films), Khemchand Prakash (12 films) and Hansraj Bahl (11 films). Jogan (1950) with Bulo C. Rani, Geet Govind (1947) with Gyan Dutt, and Tansen (1943) with Khemchand Prakash can be considered as Pt. Indra’s milestone films. While working with Gemini, he got the opportunity to work with prominent composers of South India like S. Rajeshwar Rao, E. Sankara Shastri, B.S Kalla and M. D Parthasarthy. Other prominent composers he worked with include S. N Tripathi (6 films), Anil Biswas (5 films) and Dada Chandekar (4 films). After his very first film Sati Mahanada, Pt. Indra had several more opportunities to show his mettle as a dialogue writer. Some of the films for which he wrote the story/dialogues include Maharani (1934), Pardesi Saiyan (1935), Chhaya (1936), Sati Pingala (1937), Jwala (1938), Brahmachari (1938), Brandy Ki Botal (1939), Sant Tulsidas (1939), Ghar Ki Rani (1940), Chandralekha (1949), Jalsa (1948) and Bahut Din Hue (1954). Many of these films were dubbed versions/remakes of regional language films. Pt. Indra also tried his hand at production when he co-produced Sheikh Chilli (1956) with Ramchandra Thakur. He also produced a few Rajasthani films like Babasa Ri Ladli (1961), Nanibai Ko Maayro (1962), Gangaur (1964) and Gopichand Bharthari (1965). He wrote the lyrics for these films as well, as also for other Rajasthani films like Dhani Lugai (1964) and Gogaji Pir (1969). Even in Hindi films he brought in the flavor of Rajasthan whenever an opportunity arose. 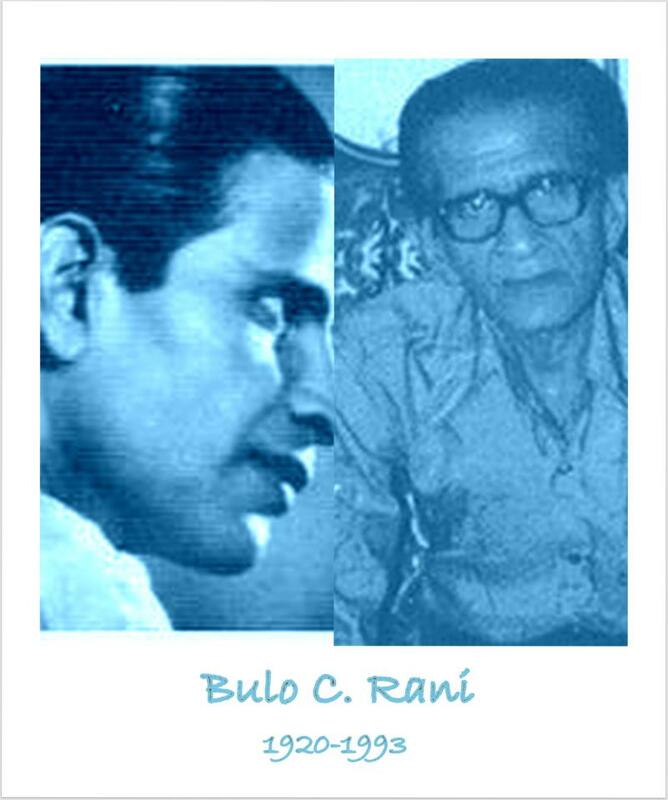 Songs like ‘mharo chhail bhanwar ro kangasiyo’ (Karwaan 1944), ‘kunwar thane mujro kar kar haari’ (Rajputani 1946) and ‘mora chhail bhanwar ’ (Rajputani 1946) were either completely or partially written in Rajasthani. A glance at his work reveals that at the beginning of his career, there was a noticeable literary influence in his choice of words both in Hindi and Urdu. For example, “saavan ghan barse chaatak kyun tarse” (Maharani 1934), “mansarovar taj chale rajhans” (Chhaya 1936), “yakta ye husn mana farsh-e-zameen pe ho” (Pardesi Saiyan 1935), “mere dil-e-saudai kis waqt haya aayi” (Pradesi Saiyan, 1935), etc. But largely, the language he used was simple and colloquial as was in vogue in the films of 1930s and 40s. He primarily stuck to the demands of the film rather than overtly and incongruously exhibiting his language skills. However, whenever he had the opportunity, either due to the subject of the film or when he got a free hand from the film makers, he did revert to pure, literary language. A case in point will be his songs from Geet Govind (1947), where he penned songs like ‘viyogini deepshikha se jare’ or ‘chamakat damakat daamini’. He also used the literary device of anupraas alankaar (alliteration) whenever he could as is evident in songs like ‘o mrignayani madhubani menaka’ (Mr. Sampat 1952), ‘kookat koyaliya kunjan mein’ (Bharthari 1944) and ‘maai ri main to madhuban mein’ (Chandalekha 1948). In the last example, which is jointly credited to Pt. Indra & Bharat Vyas, the use of alliteration was not restricted only to the mukhda. The last antara of that song had another lovely usage of alliteration when the singer sings ‘ho gaye naina nihaal nirakh liyo nandlal’. It is difficult to compartmentalize Pt. Indra’s writing style. He was truly versatile, writing just about every kind of song. However, there are a few recurring motifs that appear in his songs. One cannot call that as something unique to him as those themes were quite prevalent in that era in general, but given his prolificacy those themes appear more often in his work as compared to some other lyricists. One such theme is that of Radha Krishna, either alone or together. This seems to be quite a favorite among most lyric writers till around the 70s. In Pt. Indra’s oeuvre this theme emerges not only in films based on this subject like Geet Govind (1947), where he penned songs like ‘shyam meri bindiya bikhar na jaye’, ‘kit ho nand kumar’, ‘meethi meethi murali shyam bajaye’, or Krishna Kanhaiya (1952) where almost every song referred to Radha and/or Shyam, but also films with varied themes. Some of these examples include ‘bijli chamak gayi shyam’, ‘kunj mein dole akeli aaj raadhika shyam bina’(Maharani 1934), ‘aao jhoola jhoolen kanha’ (Brandy Ki Botal 1939), ‘matwale mere shyam’ (Amrit 1941), ‘radha jhoola jhoole jhulaven ghanshyam (Raj Nartaki 1941), ‘madhuban mein radha jhoole hindole’ (Prabhu Ka Ghar 1945) ‘radha paniya bharan kaise jaye’ (Dharti 1946), ‘bol bol gokul ke gwale’ (Gwalan 1946), and many more. Another recurring character that has been a favorite of poets from time immemorial, and which found its way into Pt. Indra’s work as well, is the moon. I must add that he mostly stuck to the conventional roles of the moon, and I don’t find any innovative invocation of the moon in his work. His moon is fairly comfortable wearing the conventional garb. It becomes a messenger in ‘chanda desh piya ke ja’ (Bharthari 1944) or ‘sheetal chandni khili khili’ (Draupadi 1944), transforms into a close confidante in ‘o sharad poonam ki chandni’ (Gunsundari 1948), is advised not to cast an evil eye in ‘ae chand nazar na lagana’ (Moorti 1945), becomes a playful mate in ‘chanda khele aankh michauli’ (Jogan 1950), is equated to the beloved in ‘chanda chamke neel gagan mein’ (Bahut Din Gue 1954), is used a metaphor for beauty as well as accused of being a thief in ‘chandavadani sundar sajni’ (Man Ka Meet 1950), or simply transforms into an object decorating the mise-en-scene in a romantic song like ‘chanda chamkti raat’ (Do Dulhe 1955). And of course, a mother equating her child to the moon as she sings a lori cannot be far behind, as in ‘pyare more chanda ae mere ladle’ (Mangala 1950). Pt. Indra also had his share of patriotic or nationalistic songs of various hues and tones. While ‘ajab hindustan ghazab hindustan’ (Pardesi Mehman 1948) was a stinging satirical attack on the state of the nation immediately after independence, ‘hindustan mahan hamara’ (Mr. Sampat 1952) was an expression of pride, yet an utopian and idealistic view. 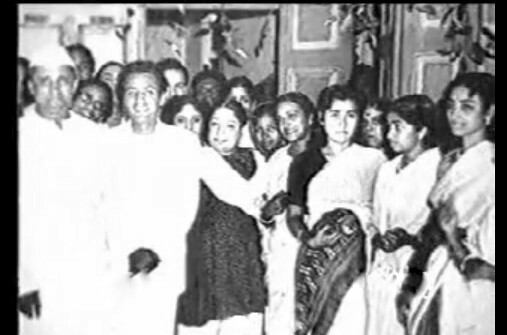 National leaders were invoked in Brandy Ki Botal (1939) with songs like ‘gandhi baba ka aaya raaj’, a song about Gandhi’s call for prohibition, and ‘bharat mata ke rajdulare’, which referenced Jawaharlal Nehru. His words exhorted people to rise and fight for their motherland in songs like ‘veer chalo janani pukare maiya bharati’ (Maharani 1934) and ‘jaag jaag mewar’ (Rajputani 1946). I will now turn my attention to some light and frothy fun songs penned by Pt. Indra. In Brandy Ki Botal (1939) he addressed the theme of prohibition through ‘mora botal wala baalma’, a song that also included an advertisement of sorts for Congress and praise for Gandhi. A lot of his fun songs were from the films produced by Gemini. Sansar (1951) had ‘lakhnau chalo ab rani’, while Do Dulhe featured ‘mohabbat ki motor mein puncture’(1955). 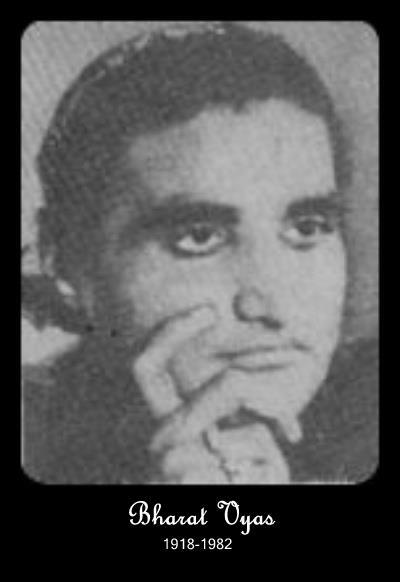 Nishaan (1949) had a multi-lingual song ‘jaiyo jaiyo sipahiya bajaar’, while Mr. Sampat (1952) featured ‘lo main layi suiyan’. For a comedy film like Makheechoos (1956) he wrote songs such as ‘o arabpati ki chhori’ and ‘sethji tumne kiya kamaal’. But one song of his in this category that stands out for a stinging attack on the government in the guise of a fun song is ‘gehoon ke phulke khila de’ from Insaan (1944). Just look at the lyrics here. At an overt level it seems like a usual banter where a wife is making demands and the husband is ready with bizarre excuses. But look at it in the political context. The film came in 1944, when we were in the midst of the Second World War. 1943 was the year when the Great Bengal Famine occurred, a result of both shortages of production as well as due to export of food grains to feed the British Indian Army participating in the World War. Japan’s occupation of Burma also hit Bengal hard because Burma was an important source of rice for Bengal and it also resulted in a sudden influx of refugees from Burma. So in this song, the writer has cleverly brought in the contemporary socio-economic and political scenario while at the same time blaming the government in a veiled manner (is paapi ne sukh mera loota). Pt. Indra’s body of work is so huge that it is impossible to deeply analyze his work in a short write-up like this. Add to that the unavailability of a large volume of his work from the 30s and early 40s. I do wish that this write-up has piqued some curiosity in the reader’s mind. I sincerely hope that after today we will remember him more for his work than a short stretch of asphalt in Mumbai that bears his name. I would like to thank Surajit Bose for agreeing to my request and taking the effort to validate Pt. 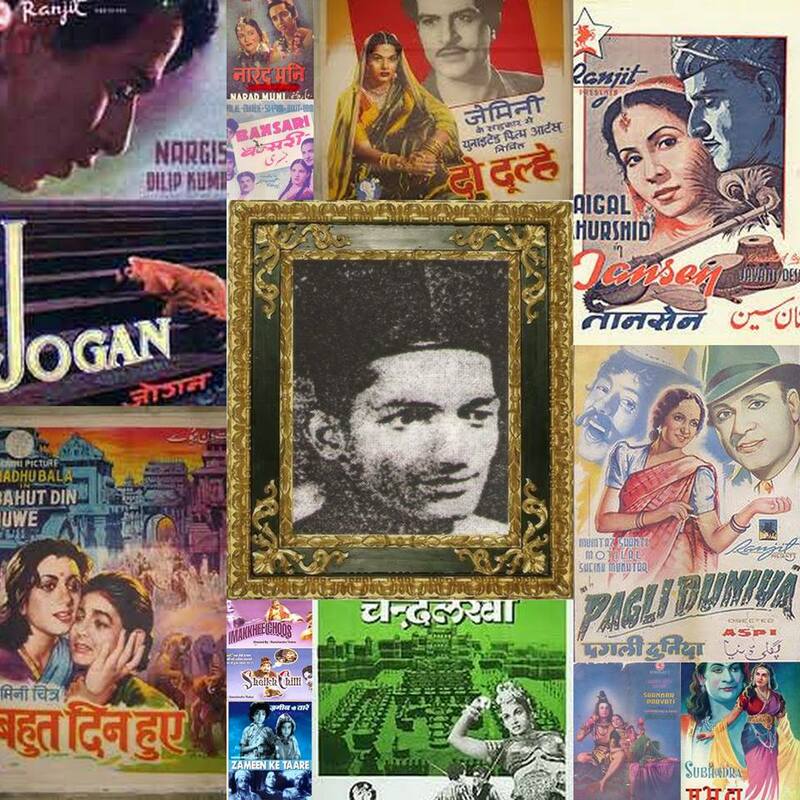 Indra’s filmography from the 1930s and 1940s with Hindi Film Geet Kosh. 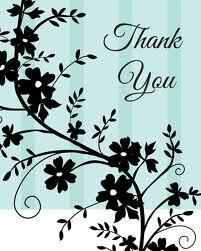 Thanks are also due to Girdharilal Vishwakarma, for not only answering some of my questions regarding Pt. Indra’s work and validating information about his Rajasthani work, but also for making so many rare songs from 1930s and 1940s available over the years. And of course, Dr. Surjit Singh, whose website is a treasure trove of songs. Most of the rare songs of Pt. Indra that I heard during the course of writing this piece were thanks to all the collectors who have painstakingly collected rare songs over the years and have been generous enough to share them through Dr. Surjit Singh’s web site. The beginning of twentieth century saw the best of classical music. Be it a “Baithak” or “Natya Sangeet” or the “Royal courts”. Our culture was however saddled by Victorian prudence and principles. So much so that once a permissive society, the females were relegated to secondary or tertiary position. With the women dressed to toe, it was considered vulgar and a downright sin to show the even the ankles. Theatre was perhaps the only entertainment for the public that too for the high collared and the rich. Women “part” (स्त्री पार्ट या सिर्फ “पार्ट” नाटक की भाषा मे)” in a musical or a play used to be played by a male actor. This was when the Cinema was born, quickly followed by talkies. Suddenly the “entertainment of the theatre”, which was the purview of select few, saw the “entertainment” becoming available to general public. The fantasy knew no limits. And then playback singing made an appearance. 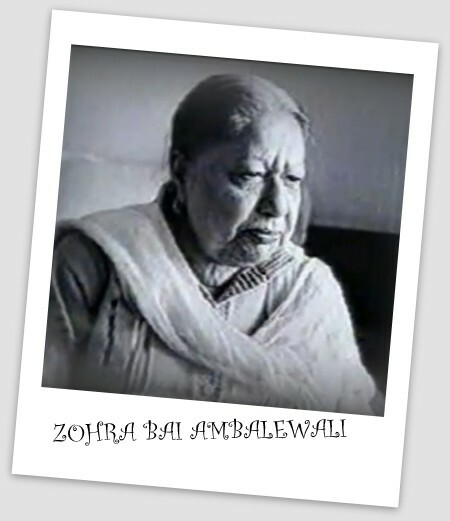 It was precisely at this time that Zohrabai Ambalewali made her debut along with Amirbai Karnataki, Raj Kumari, Shamshad and so on. All of them at their best could compete for top position. 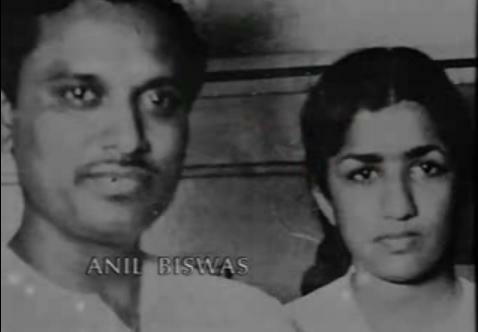 They were famously known as “the first generation playback singers”. Zohrabai hailed from Ambala, then in undivided Punjab, and now an air force station in Haryana. She did get some formal training from various classical singers in the early part of her life. Coming from an orthodox Muslim family the going was not easy. It was her grandfather who helped early on. Her first song was for a recording company at the tender age of 13 somewhere in early thirties. She recorded several non-film songs during that time. The semi-sharp unrestrained voice with nasal twang was then trained by her husband Faqir Muhamed, a well known Tabla player of that era. It was discovered and put to excellent use by the Master Composers of that generation like Anil Biswas, Pandit Gobindram, Rafique Ghaznavi, Vasant Desai, to name a few. Her first film song was in “Daku ki Ladki” (1933), for the composer Pransukh Nayak. Honestly I could not find any link to that song. Her song for a mythological movie “Shakuntala” (1943) where she sang for Vasant Desai gets a mention here, because I could find a link. The song is “मन की नैया लगी किनारे” (http://youtu.be/7mg8ezjA8DY). 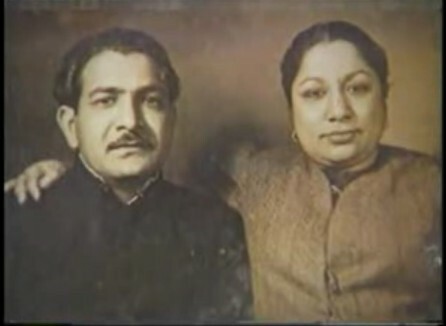 Her qawwali from Zeenat (1945, Meer Saheb & Hafiz Khan), “आहें न भरीं, शिकवे न किये”, is believed to be the first all-female qawwali in Hindi films. It was however Naushad who gets the credit of getting the best out of her and making her a top ranking singer. It was with Naushad’s “Rattan” (1944) and the evergreen “अखियाँ मिला के जिया भरमा के” that Zohrabai became a force to reckon with in the world of playback singing in Hindi films. 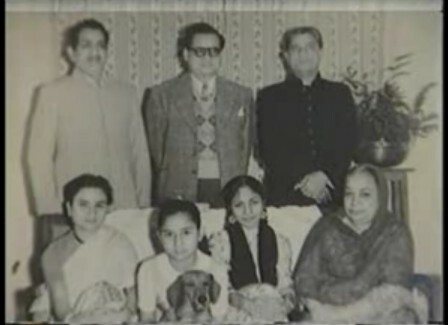 For the remaining part of the 1940s, Zohrabai established herself firmly in the industry and worked with almost all major composers of that period. 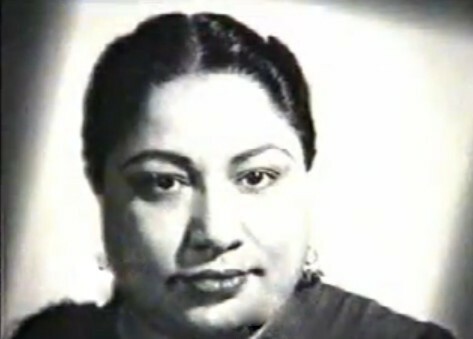 She sang the maximum number of songs for Pandit Gobindram, Naushad, Vasant Desai, Bulo C. Rani and Husnlal Bhagatram. During her career, Zohrabai sang for the following composers. There might be some omissions. How many song for which composers is only of statistical value. My flirting with Zohrabai is recent. But then how does one write about a person whom one has never seen? Only audio!! How does one relate to a person whose memories were rekindled with the advent of YouTube? I heard some of her songs for the first time on 78 rpm record at my grandparents’ place. In those days of transition to faster life, it was not easy to listen to them at leisure. The name was almost forgotten during the interim period. With no visual impression the audio did solve that problem. With advent of YouTube and Internet music about five years back I heard these voices again. It was intermittent and sporadic. Quite a few of these persons I had a chance to see. With Zohrabai Amabalewali no chance. I didn’t even know what she looked like. 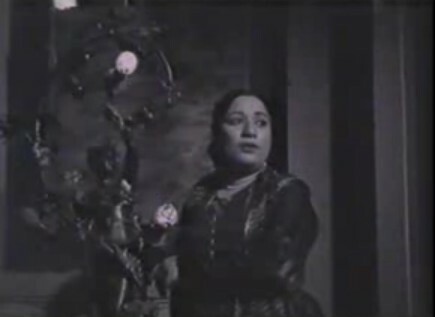 But her voice is tantalizing when she sings “नैनो मे नैना मत डारो ओ जी बलम” (http://youtu.be/jMxvV1YjsnI) in the 1944 film “Jeevan” (Naushad). “मोटार होले होले हांक डलाइवर” in “Dil ki Basti” (1949, Ghulam Mohammed) gives you that feel of a car ride in an open sedan, an ultimate fantasy of a man. “मियाजी चोरी चोरी” from Parda (1949, Sharmaji) is delightful too. In “Aiana” (1944, Fateh Ali Khan) “बालम जी ये क्या जादू डारा” (http://youtu.be/8tGWDHjABMs ) with Gope weaves magic around you. Such light, frothy, fun songs are truly endearing and she sang many of them, but her personal preference, as she revealed in an interview, was for sad or ‘tragedy’ songs. And she did complete justice to such songs as well. Consider these: “बताये कितनी हसरत दिल के वीराने मे है” from film “Naiyya”(1947, Anil Biswas), or that full throated voice from “Mela” (1948, Naushad), “शायद वो जा रहे हैं छुप कर मेरी नज़र से”. She must have sung some three hundred odd songs, both solo and duets or group songs. I believe there are at least hundred odd songs are there which she sang for dancer daughter Roshan, or at private concerts. My first glimpse of her lip syncing was for Swaran Lata “अखियाँ मिला के जिया भरमा के” in “Rattan” 1944, a tantalizing fantasy for the audience of that time. It is the eternal nature of this song, that made Lata choose this song as her ‘shraddhanjali’ to the senior singer. When I saw a visual of her face in a snap I was more fascinated. How she would have looked singing for her daughter after she bade goodbye to film music? I had seen Begum Akhtar live. I think she would have looked equally graceful. This private song is a testimony to it, “किस तरह भूलेगा उनका खयाल” (http://www.youtube.com/watch?v=kZI4oeZFYYY). Shepeaked in the second half of the 40s decade, with more than 50% of her songs coming in just 3 years between 1945 and 1947. There may be difference of opinion about her best. I consider her duet with Raj Kumari in Mahal for Khemchand Prakash as one of her best.